The Auditorium serves as a space for encouraging creativity and fostering communication. 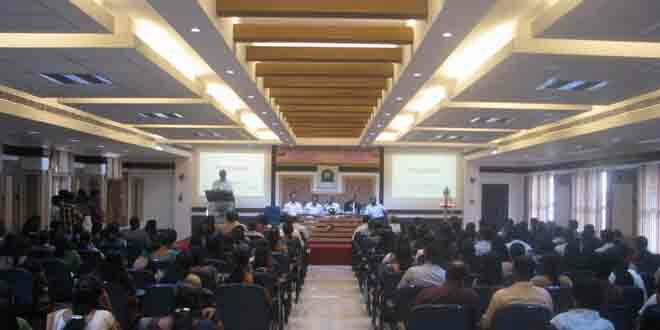 The daily assembly, talks by guest speakers, inter-college competitions, and important functions including the annual College day, Independence Day and Teachers Day are held here. The auditorium can seat about 700 people and has a very advanced light and sound system. It is equipped with a large stage (40 × 60 ft), comfortable seating, carpeting, wall paneling for acoustic effects, wash-rooms. The sound system includes a 12-channel mixer and a studio master. The light room can operate almost 100 lights at the same time with the help of its electronic dimmer.